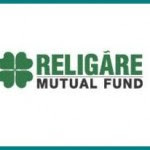 Religare Mutual Fund has declared dividend on the face value of Rs. 10 per unit under monthly dividend option in institutional plan of Religare Active Income Fund. The record date for dividend has been set as May 17, 2010. The dividend will be 100% of distributable surplus as on the record date. The NAV for institutional plan as on May 10, 2010 stood at Rs. 10.0206 per unit. Religare Active Income Fund is an open ended income scheme with an investment objective to generate optimal returns while maintaining liquidity through active management of the portfolio by investing in debt as well as money market instruments.